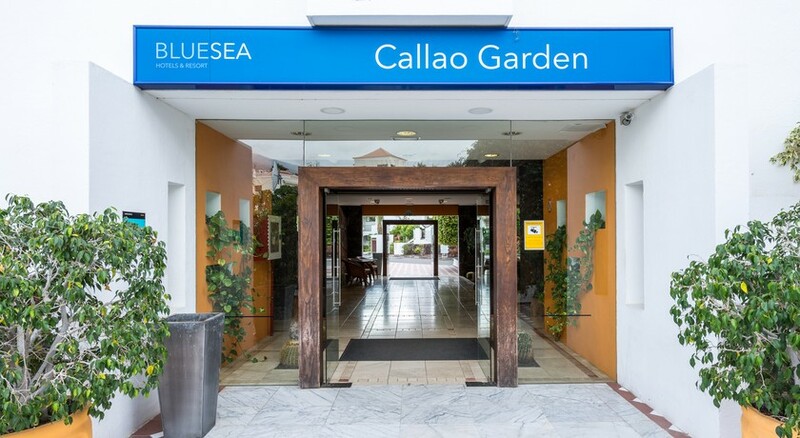 The 3-star Blue Sea Callao Garden is nestled in the idyllic residential area of Callao Salvaje in the south west of Tenerife. It is one of the most preferred accommodation options among families and couples for relaxing holidays in the Canary Islands. Housed in a traditional Canarian-style building, this modern resort has a tranquil backdrop of a nearby coast and is just a seven minutes’ walk from the beach. The property features one-bedroom apartments with private terraces, spacious balconies and kitchenettes. These accommodations can fit in up to three adults and two children, and are equipped with a lounge area and a sofa bed. The restaurant at Blue Sea Callao Garden serves a diverse range of international cuisines and is situated around three pools. Apart from the main swimming pool, the hotel has got a separate pool with solarium that serves for a private bath in the sun. There are game zones, a mini golf area, squash and tennis courts and a cyber-corner. For its young guests, the Blue Sea Callao Garden has got a playpen while they arrange for beach volleyball for adults. The hotel’s convenient location allows guests to visit the nearby aqua parks, golf clubs, or the famous Teide National Park. Blue Sea Callao Garden is around 28km away from the Tenerife South Airport. Its strategic location in the city ensures a close proximity to several attractions like Playa de Ajabo, Playa Fanabe and Tenerife snorkelling and kayaking facilities. EL Paraiso, Santa Lucia and Le Marina are among the closest restaurants to the hotel. 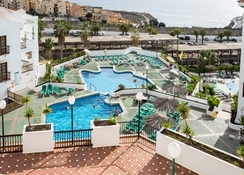 A number of water parks, such as Aqualand Costa Adeje and Siam Water Park are near the hotel. 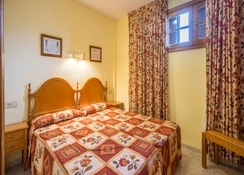 There are also golf clubs, whale and dolphin spotting areas and the popular Teide National Park within close distance. Blue Sea Callao Garden features 45 square metres one-bedroom apartments that come with lounge area, kitchenette and private balcony. While the kitchenette is equipped with a coffee maker and a fridge, the lounge area is furnished with a satellite TV and a sofa bed. 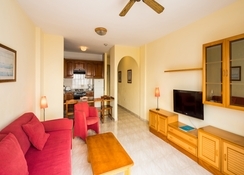 Some of the apartments offer splendid views of the sea. All the apartments have en-suite bathrooms equipped with modern amenities. The hotel also allows pets up to five kilos (additional charge applicable). An entire range of international cuisines is served by the restaurant at Blue Sea Callao Garden. Guests can enjoy scrumptious breakfasts, lunch and dinner buffets. Guests who want to self-cater can use their apartment kitchenette, while the on-site mini-market supplies all cooking essentials. The Lanzarote Restaurant, located around the three swimming pools, serves Spanish and Canarian dishes, while guests can enjoy fusion drinks at the Lanzarote Bar. The hotel is also surrounded by some excellent restaurants and bars and if you are looking for night parties, head to these while you are at the hotel. Beach volleyball, tennis, squash and a range of other sports activities are on offer at Blue Sea Callao Garden. The hotel also hosts live events and shows in the evening. The cyber corner caters to the internet needs while a game zone facilitates young guests with video games. While the main swimming pool is bustling with activities, there is also a separate pool equipped with a solarium that allows you to take a private bath under the sun. Everything was alright for me, but I do not have big demands considering that I knew what I am paying for. Will I recommend this holiday? Yes. Am I going there again? Of course! This was the first holiday me and my boyfriend went on together and it was amazing. So relaxing and the staff where really friendly and approachable. 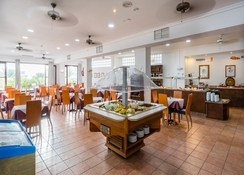 We were very happy with this hotel and it’s facilities however I will say, because we were all inclusive the food gets somewhat boring and it is quite bland at times. Wouldn’t recommend all inclusive option for vegetarians or vegans. You get what you pay for though and it is the best hotel I’ve stayed in abroad all inclusive. Would be great if they put a gym there. 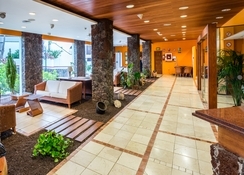 Staff were friendly especially the man at the main reception he was always very happy and friendly. Location is great too with frequent buses just down the road to take you to places such as Siam mall and siam park which are both a must go. Overall we loved our time at this hotel. Our apartment was huge we were not expecting it to be so big! Have to pay for tv which didn’t affect us as we never watch tv on holiday. I will say if you struggle with walking then it may not be the place for you as there is a lot of steps and banks. We really did enjoy our stay here and with 3 pools in the whole hotel grounds it was great! I would recommend to friends and family! Not for the disabled or infirm! A quaint hotel, the staff are pleasant and helpful, the food is reasonable but repetitive and on some occasions could be hotter. The rooms are spacious with some rooms having excellent views. But, beware, there are a lot of stairs! Lovely hotel . Room was a self catering one with a small kitchenette and louneed which surprised us. Very clean as was public areas. Pools and surrounding areas very clean and lovely. Resort as a whole was quite hilly so not suitable for people with walking difficultit's. Hotel was lovely staff were very helpful it was close to local bars and restaurants and the beach would recommend to others bus service was really good had a bus stop right outside the hotel. Overall we had a lovely holiday. Rooms were very spacious and staff very friendly. Not too much to do or see around the area but a local bus was immediately outside Hotel. First time in travelling have we ever had to put money in a machine to view the tv and then there was only 2 news channels.